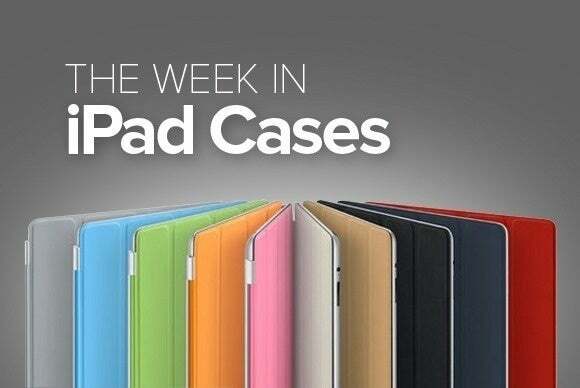 This week’s roundup of new iPad cases also features backpacks from Belkin and Crosskase, and a slim keyboard from Logitech. 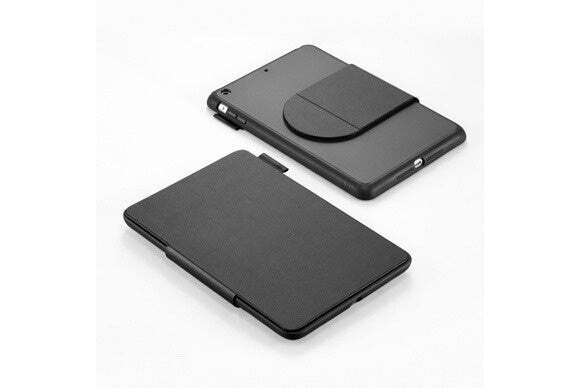 The Zolo Tough (iPad mini 2 and 3; $20) sports a slim and sleek profile, with a front cover that is compatible with the iPad’s magnetic sleep/wake feature. Designed to withstand drops from up to five feet high, the case features raised edges with shock-absorbent lining, and doubles as a viewing stand in both portrait and landscape orientation. It’s available in black or white. Need more room for your stuff? 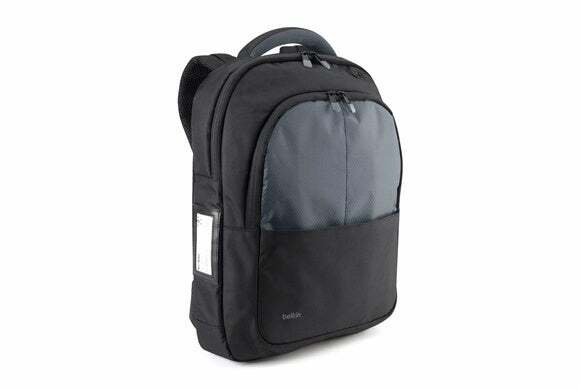 The Essential Backpack (all iPad models; $45) includes plenty of space, with a dedicated compartment for your MacBook, a dedicated pocket for your iPad, and smaller pockets for your charging cables, headphones, and accessories. Available in red, blue, or gray, the Essential Backpack also features an external ID holder, adjustable shoulder straps, and a padded top handle. The Eighty 6 (all iPad models; $72) keeps frequent travelers in mind. It features a versatile layout with several compartments where you can store your daily necessities, and comes with three different carrying options to suit every comfort need. It has a dedicated section with a safety strap closure that keeps your MacBook firmly in place, and numerous pockets provide a home for your iPad, accessories, and other items. 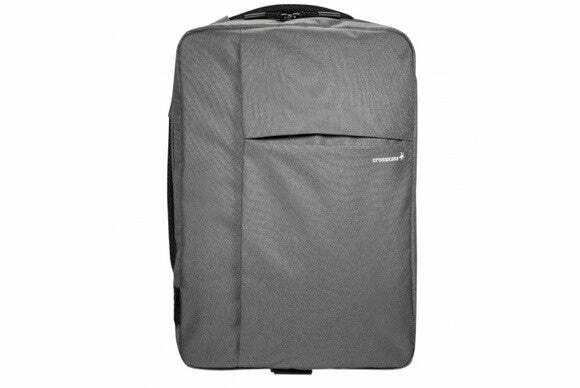 The bag also features a detachable shoulder strap for cross-body carrying, hideaway straps for handle-only usage, and a convenient luggage trolley slideover for longer-term travel. 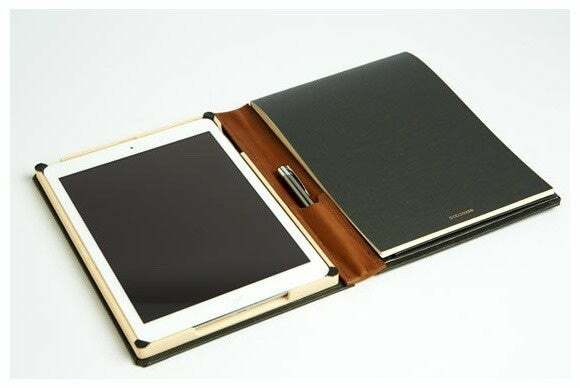 If you prefer to jot down notes the old-fashioned way, the Dodocase Folio (iPad Air and Air 2; $145) has you covered. This folio includes room for both your iPad and a refillable notepad, nestling both inside of an elegant book-style case. The Folio also features pockets for your business cards, a bigger compartment for documents, and a leather holder for your pen or stylus. 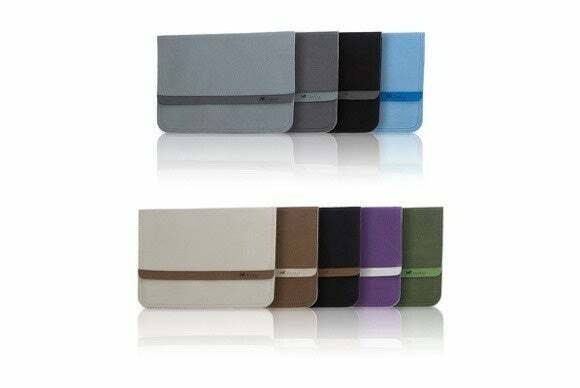 Made from cloth fabric and leather, the case features an elastic band for safety and doubles as stand in landscape orientation. The Ultrathin (iPad Air 2; $90) is a magnetic clip cover with a built-in Bluetooth keyboard that gives you the perfect excuse to go all-in with your iPad. Available in space gray or silver, the Ultrathin supports multiple typing and viewing angles in landscape orientation, and is compatible with the iPad Air 2’s magnetic sleep/wake feature. 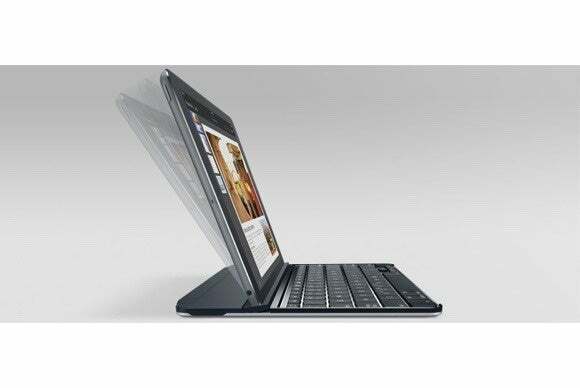 According to Logitech, the keyboard’s lithium battery lasts up to two years under normal usage. 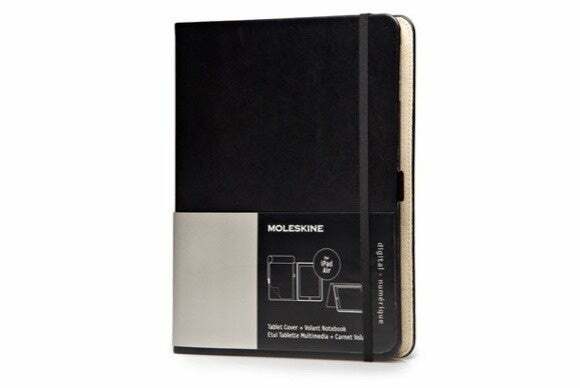 The Tablet Cover (iPad Air; $90) comes with a built-in Moleskine Volant Reporter notebook where you can quickly jot down your thoughts. Outfitted with padded suede lining for extra protection, the Tablet Cover includes a pen loop for your favorite pen or stylus, a flat pocket for documents, and an elastic closure to hold the cover in place when closed. The case also turns into a stand in landscape orientation for all your viewing needs. 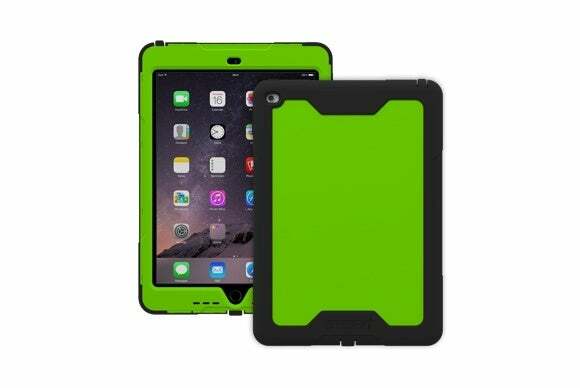 As its name suggests, the Hard Case (all iPad minis, iPad 2, third- and fourth-generation iPad, iPad Air and Air 2; $59), is a hard-shell case made from sturdy, rubberized polycarbonate that offers all around protection. 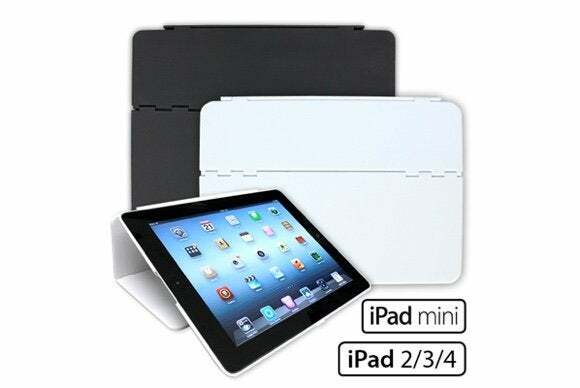 Available in black or white, the case is compatible with the iPad’s magnetic sleep/wake feature, turns into a stand in landscape orientation for both typing and viewing with support for multiple angles, and provides precise cutouts for your iPad’s back-facing camera, charging port, and buttons. The Cyclops (iPad Air 2; $60) keeps even the harshest elements at bay, thanks to two layers of shock absorbent material and a built-in screen protector. 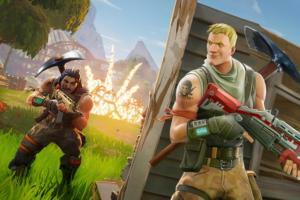 The case meets or exceeds military test standards for drops, vibrations, dust, sand, and rain, and even features dust filters to keep the speakers safe. The Cyclops also features a sound-enhancing system that redirects your iPad’s output to the front for maximum audio performance. 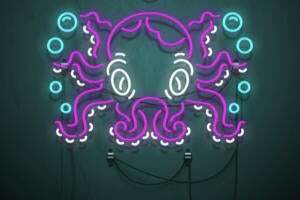 It comes in black, white, pink, green, or blue. The Microfiber Tablet Sleeve (all iPad models; $9) has a soft interior lining and a smooth texture—the perfect place for your iPad to rest when it’s not in use. The sleeve has enough room to hold your Smart Cover-equipped iPad (or even an iPad fitted with a Smart Case), and it features a pocket for its accessories. It comes in a variety of two-tone colors for a personal touch.